An ALA-YALSA Quick Pick "[A] mysterious survival saga that passionate fans describe as a fusion of Lord of the Flies, The Hunger Games, and Lost." --EW.com "Wonderful action writing--fast-paced...but smart and well observed." --Newsday "[A] nail-biting must-read." --Seventeen.com "Breathless, cinematic action." --Publishers Weekly "Heart pounding to the very last moment." --Kirkus Reviews "Exclamation-worthy." --Romantic Times [STAR] "James Dashner's illuminating prequel [The Kill Order] will thrill fans of this Maze Runner [series] and prove just as exciting for readers new to the series." 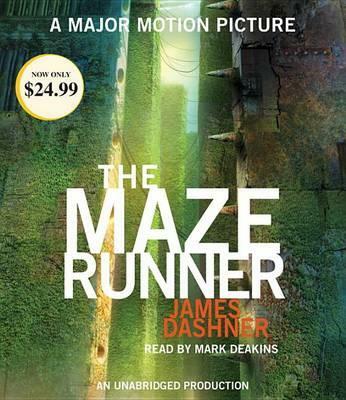 --Shelf Awareness, Starred "Take a deep breath before you start any James Dashner book. "-Deseret News From the Trade Paperback edition.